*COST/PRICING: The windows are high quality. However, $20K is not low-cost due to inflection. However, Gravina’s pricing was fair market price compare to Pella’s Windows and Champion’s Windows. *SERVICE: I greatly appreciate Mr. Jason Castro for his sales experience and most importantly for being patience to answering all my questions. As for Mr. Alberto and Mr. Jeremy, watching both of these gentlemen performing physical hard labor and working without breaking until lunch. The installation was fished in a timely manner within two (2) working days. The craftsmen was professional and knowledgeable. The finish product was outstanding and thank you! NOTE: Only one (1) window screen has a hole with a small torn. Last Friday, 28 October 2016, Mr. Alberto was notified to replace the window screen. *I will return back to Gravina’s for installation of siding on my house. Your technician was polite, efficient and fixed my problem to my satisfaction. What a huge difference it makes to our home! Everyone I had contact with was friendly and professional, interesting and informative. The work was done right and on time. What a huge difference it makes to our home! The question I asked Mike Gravina was, "Is everyone who works for you just adorable?" i was very pleased with the excellent service, from ordering to installation of my windows and patio door. Special thanks to Paul. Showing Great Lakes, Marvin and Kolbe windows. Gravina's Windows & Siding is excited to serve your replacement windows, doors and siding needs in Aurora! Our goal is to provide excellent residential replacement windows service throughout Aurora and have for many years. If you live in Aurora, chances are that we have replaced windows or siding in your neighborhood or for your neighbor. We know the local codes, Aurora inspectors, homes in this area, and the common issues. 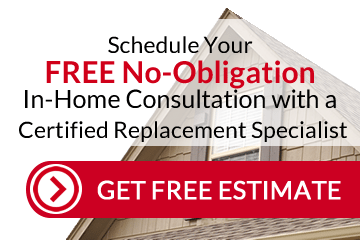 If you find yourself in need of a great replacement windows or siding replacement company, call us or send an email. We also work in Denver, Centennial and Parker.